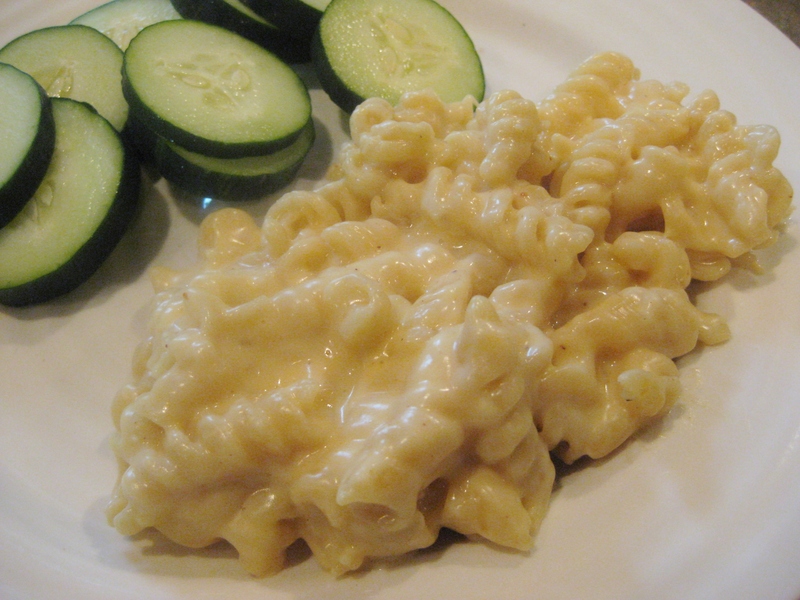 When one says “homemade mac and cheese,” one is most often referring to the casserole like dish you bake in an oven. It’s tasty. I like it a lot. But when you get down to brass tacks, it’s not the same as its stove top Kraft counterpart. That’s not always a bad thing. 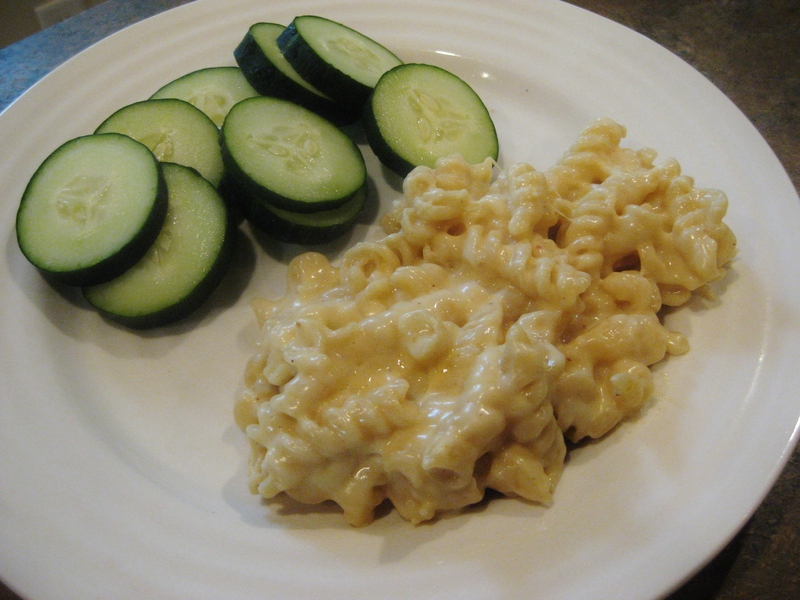 But you know, sometimes I really like a good, saucy mac and cheese. Here you have it: homemade stove top mac and cheese. Melt in your mouth cheesy, creamy goodness. This recipe is quite hands on, as you have to do a fair amount of stirring to keep the milk from getting too hot and the noodles from sticking together. That said, I sat down to dinner within 30 minutes of walking in the door after work. Not too shabby for a work night! The hint of nutmeg and mustard really make this dish. Did I mention how creamy it is? Be still my heart. This one is a keeper. The recipe can be found at White on Rice Couple. Follow it, and you’re on your way to macaroni and cheese euphoria. Looks delicious! Going to have to try this one. Thanks for posting.